After graduating from the British School of Osteopathy in 2000, Sarah travelled out to the Indian Himalayas with a group of Osteopaths to set up temporary osteopathic clinics treating the locals. It was during this trip that she became interested in cranial osteopathy and after returning undertook postgraduate training in cranial osteopathy. Sarah then became interested in working with children and babies, and in 2005 completed a postgraduate diploma in paediatric osteopathy whilst working at the Osteopathic Centre for Children, a charity that treats children from newborns to teenagers for a wide variety of conditions. Sarah continues to attend Postgraduate Cranial Osteopathy courses yearly and has completed all 7 phases of the Biodynamic Approach to Osteopathy. Sarah works closely with local health visitors and midwives, and has delivered talks to antenatal and mother and baby classes, as well as autism and learning difficulties support groups. She has experience of working in the Children’s ward, and with premature babies in the neonatal intensive care unit and SCBU at Barnet Hospital, London as part of the ‘flying osteopaths’ team. She has also written an article for The Autism File, entitled Paediatric Osteopathy. Sarah works in conjunction with lactation consultants, in cases where there are breast or bottle feeding difficulties, including pre and post tongue tie release (frenulotomy). 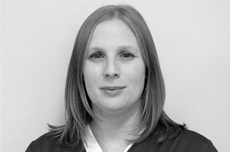 Sarah is registered with the General Osteopathic Council (GOsC), is on The Sutherland Society Register for cranial osteopaths, and is a member of the Institute of Osteopathy. Originally from Japan, Atsuko graduated from the European School of Osteopathy (ESO) in Kent. She joined the team in 2010 when she relocated to Chester. Atsuko developed a strong interest in treating babies and pregnant/postpartum women whilst she was working in the ESO children’s clinic, and has been enjoying treating babies and children alongside Sarah. 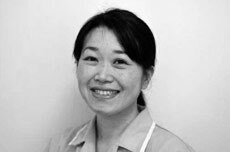 Atsuko works closely with lactation consultants in cases where there are breast or bottle feeding difficulties, including pre and post tongue tie release (frenulotomy). She has also attended Caroline Stone’s courses on the treatment of pregnant and post partum women. She has completed the first two phases of the Biodynamic Approach to Osteopathy, and more recently a foundation course at the Institute of Classical Osteopathy. To further complement her understanding of the physiology and psychology of childbirth, Atsuko has also gained a Diploma as a Doula with Michael Odent. Prior to training as an osteopath Atsuko gained a diploma in holistic massage, sports therapy and Indian head massage from ITEC, and has worked with a wide range of patients from musicians to marathon runners. She has also completed courses in cranio-sacral therapy at the Upledger Institute. Atsuko is registered with the General Osteopathic Council (GOsC), is a member of the Institute of Osteopathy and is an associate member of the Institute of Classical Osteopathy. Vicky trained at the Northern Institute of Massage in Bury. There she gained diplomas in Remedial Massage Therapy and Electrotherapy in order to treat musculoskeletal conditions and sports injuries. 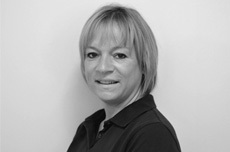 Vicky also holds Diplomas in Sports Massage and Sports Therapy. She is registered with The Society of Sports Therapists.